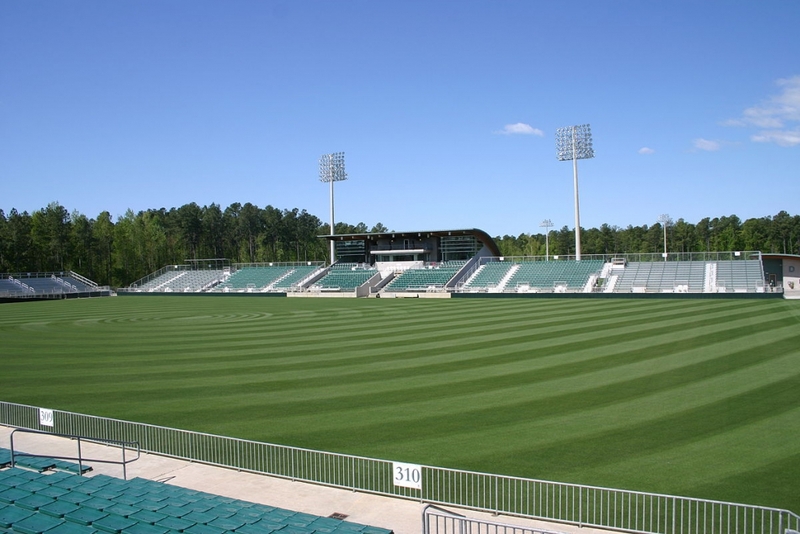 WakeMed Soccer Park – Cary, NC – Target Technologies International Inc.
WakeMed Soccer Park is a major soccer complex located in Cary, North Carolina, USA. It originally opened in 2002 and was the home of the Carolina Courage of the National Women’s Soccer League. WakeMed is now also the home to North Carolina FC of the United Soccer League and hosts major tournaments such as the NCAA College Cup, the ACC Soccer Championships, and the NCHSAA high school state soccer finals. Sitting on 150 acres, the soccer complex consists of a purpose-built, soccer-specific main stadium, two lighted practice fields, and four additional fields. The main stadium and the two lighted fields (2 & 3) are all FIFA international regulation size. The complex also sports a full-length, nationally recognized cross-country course and houses the offices of Triangle Professional Soccer. In the early months of 2019, the stadium is upgrading the playing fields and TTII is pleased that our infill was chosen for the job!